Propane grills are a must especially if you are constantly camping out. You may take a lot of pain in cooking the food and serving. But if you are not using a quality grill, it all comes down to poor barbeque experience. Whether you are only trying out your hand in outdoor barbeque for the first time or been quite seasoned in it for some time in the past, you definitely deserve the best propane grill to make the entire process enjoyable and effortless. The propane grills available in the market can vary considerably depending on the price, size, heat output and fuel capacity among other things. Regardless given below are detailed reviews of the 3 propane grills which are also considered to be the best in the category. For a better outdoor camping experience you need the best propane grill then we will recommend you to buy Coleman Road Trip Propane Portable Grill LXE. When you buy it from the Amazon you will be amazed by the amazing features offered by it. Two burners – In this propane grill, you can be able to cook two dishes at the same as there are two burners offered. Also, the heat control system helps to cook the delicious food which can make camping trip fun and relaxing. You can also be able to cook food for a large crowd within a short period and without any hassle. 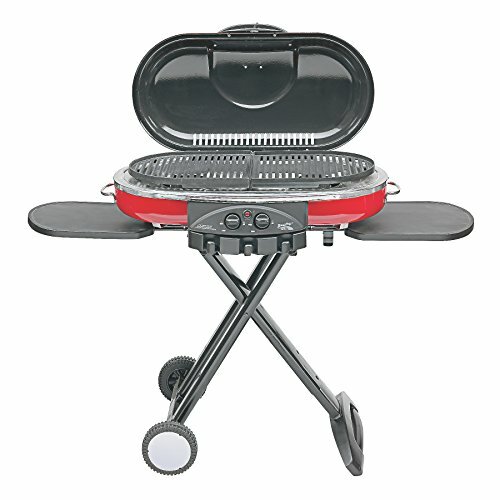 Set up easily – It was very easy to set up this propane grill all you need to do is open it up and start using. 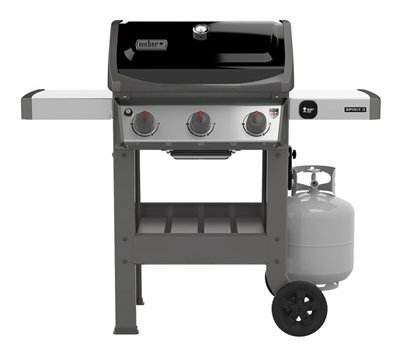 This propane grill is not only easy to set up but also easy to clean. To clean this grill all you need is water and a little bit of soap! Also, you can easily be able to carry this grill easily in trunk of the car and take it back. This portable grill can be converted into a compact unit which is easy to carry. You can also be able to take it with you anywhere and eat anything as you desire by cooking on it! Instastart button – There is instastart button for easy operation of this grill! One needs not to use matches or lighter to ignite the grill. 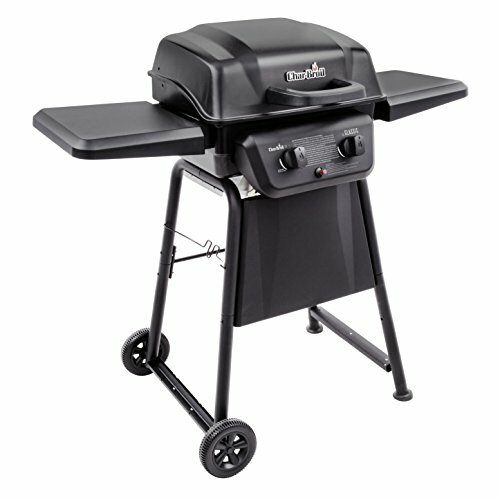 This Char-Broil Classic Burner Liquid Propane Gas Grill is best for outdoor grilling! Barbequing with this grill becomes fun and delicious food can be prepared using it. This is not only portable but also fits in a small space easily. Appropriate cooking space -The space available to cook is 280 square inch and it has porcelain coated wire grate. This space makes it convenient to entertain as well as cook for the selected set of people. Also, to preheat this grill it takes a couple of minutes. 2 side shelves – Here, on these shelves one can store ingredients as well as tools easily. Also, the 2 wheels fixed to the stand provide good maneuverability. In addition to this, there is provided a grill cover to shield the grill from rust and dust. This liquid propane grill is the best item you can buy from Amazon. You will be surely happy to use the amazing features of this Weber propane grill model. Cooking space – There are 529 square inches of cooking space provided for easy cooking of the dishes and also, there are three burners which further make it easy to cook! Porcelain enamel – The coating of porcelain enamel flavorizes the bars and also it has a grease management system. Other features – There are six hooks provided to hand the tools as well two wheels for the support. Also, 30, 000 BTU/hour inputs major burners with the fuel gauge. If you are looking to buy this propane grill models then it is available on Amazon at best rates. All the above mentioned propane grills are amazing and easy to use. Thus, you can easily use them to cook any type of dish and make your campaign interesting.